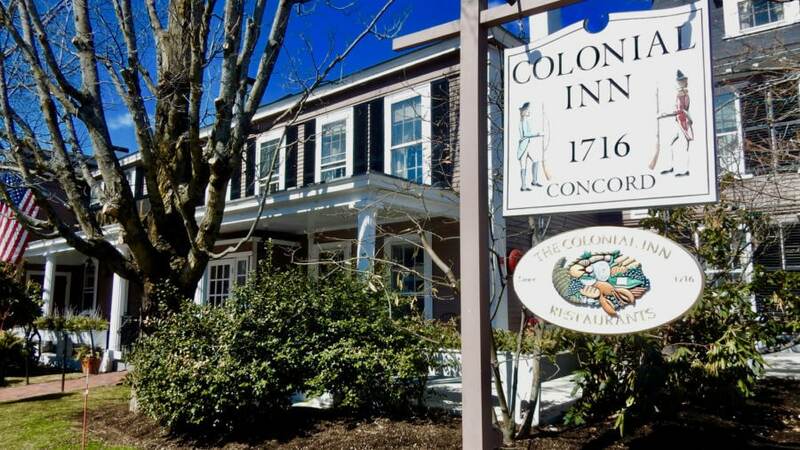 For travelers seeking an authentic American History overnight, there’s no better place to bed down in Concord Massachusetts than Concord’s Colonial Inn and Tavern, which was a “Witness Building” on the first day of America’s Revolutionary War. The oldest of the inn’s original three structures, now the front desk and gift shop, dates back to 1716 and was an arms and provisions storehouse for the local militia. The office and home of Dr. Timothy Minot, Jr. was located on the western side of the building, and during the Battle of Lexington and Concord, he used what is now the Liberty Room (restaurant) as a hospital, one of his bedrooms (now #24) as his operating room, and another as the morgue (#27). It is for this reason – based on reports of guests who’ve stayed in those rooms – that the Colonial Inn is considered one of the most haunted hotels in America. In spite of this, I enjoyed one of the longest, deepest, least disruptive, and most restorative sleeps I’ve had in months here. Concord’s Colonial Inn, listed on the National Register of Historic Places, sits in the center of town overlooking a rotary and a memorial obelisk. A rambling, multi-building complex, it’s tough to tell where it begins and ends, having been extended over the years. At its core, however, is that feeling of Colonial-era America – made even more poignant because the North Bridge – the site of the “Shot Heard Around the World” – is just down the street a half-mile away. Reception – in a small, traditionally decorated lobby – is very friendly and casual. While checking in, you’ll probably encounter plenty of community members who come here for meetings, luncheons, and celebrations. A lodging that caters to locals like family is evidently very much loved and admired. As a patched together series of buildings, the labyrinth of hallways and stairways gets very confusing, so it’s no surprise that many guests get lost here. Not to worry, however, as there’s always someone around who can help and point you in the right direction! Guest rooms, renovated in 2012, are now upscale, cozy and fresh. The Prescott Wing, added to the original three structures in 1960, feature less costly rooms with antique reproductions, and are still plenty charming. Mine, with white hip-high wainscoting and walls the color of moss green mixed with mustard yellow, formed an elegant cocoon. 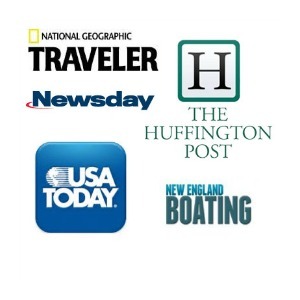 Each is equipped with 42” flat screen TV, complimentary water, landscape, floral and Minuteman art, and very comfortable beds. The bathrooms have been redone with contemporary tile, gleaming white sink, bright light, and a mosaic-tile shower. They are small, but immaculate. Choose from a warren of rooms – but be sure to have a drink in the old original Tap Room, where for years only men – and at least one horse (a story in itself) – were allowed. Off-season midweek can see rates as low as $109, and can go up to $550 in season for a 2 bedroom suite, includes parking, wi-fi, and morning coffee.